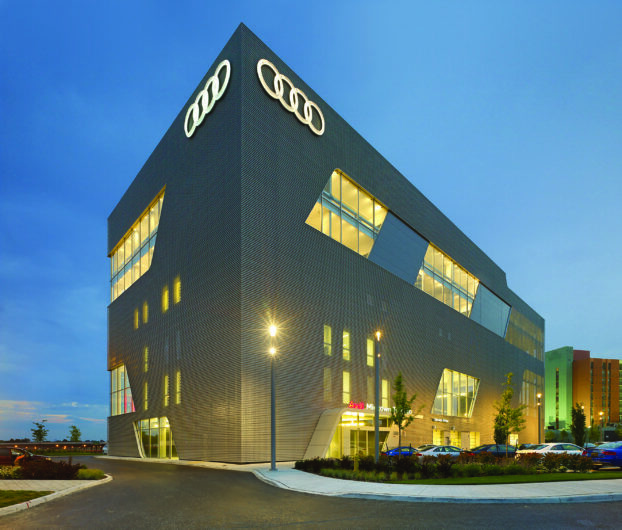 Audi Midtown Toronto is based on the new“Terminal Design” from Audi AG and serves as the Canadian flagship store. 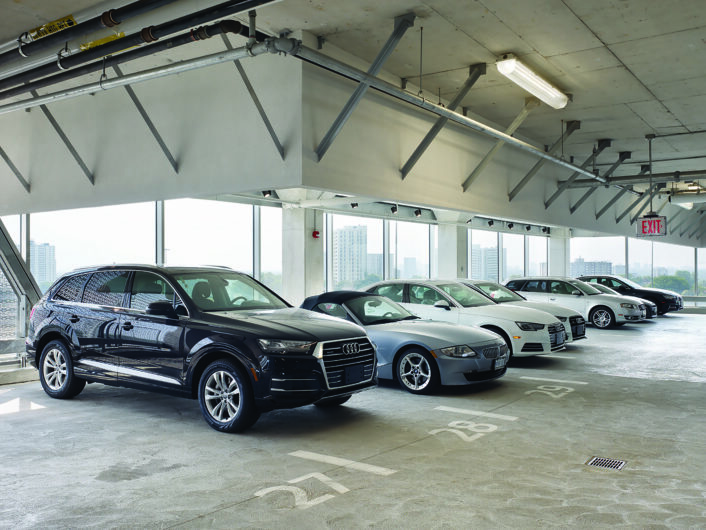 Located at one of the most heavily traveled areas of Toronto, the 401/404 interchange, Audi had the opportunity to mesmerize passersby. 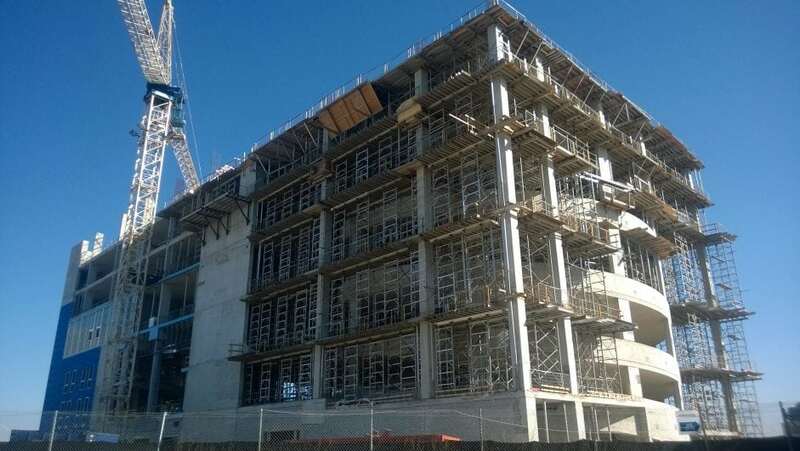 This seven (7) storey reinforced concrete structure utilized roughly 8,500 m3 of concrete of varying strengths (testing verified one element reaching 113 MPa at 28 days). 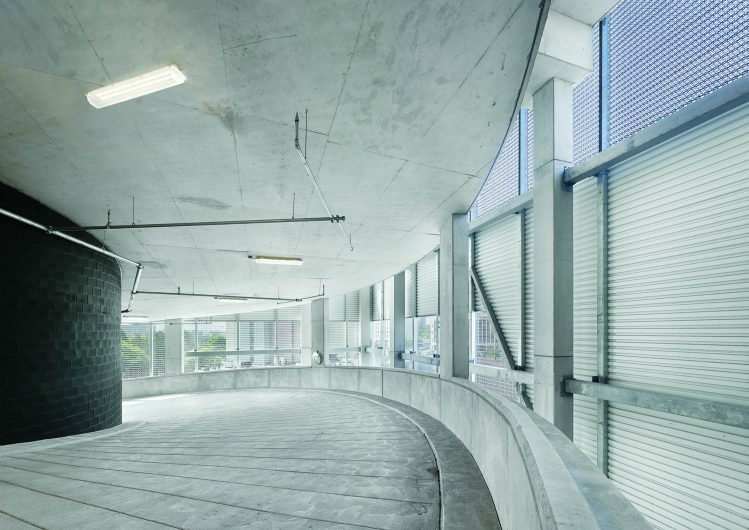 The Toronto marketplace is rich with concrete structures; the Audi building exudes strength through its monolithic structure beneath a multi-faceted lightweight aluminum cladding.